Pakora makes for a quick and delicious snack when you’re feeling peckish, or even as a light appetiser to start your meal. Add this dish to your Merdeka spread to truly make it feel like a complete assortment of Malaysian delights. This recipe was first published in Flavours magazine. Combine the flours, turmeric and chilli powders in a mixing bowl and slowly pour in water and oil until it becomes a thick batter. Mix in salt, pepper and limestone paste (if using), making sure the mixture is well-incorporated. Add the cauliflower and spring onions to the batter and mix well. 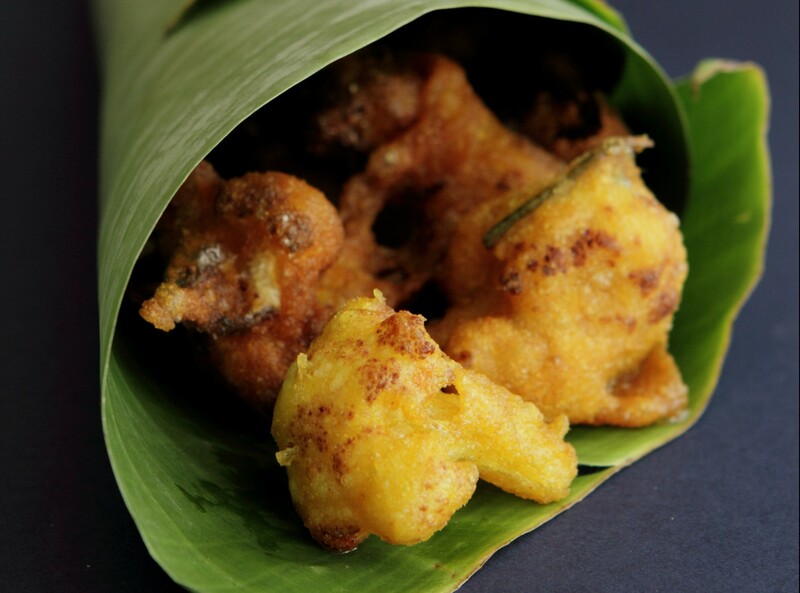 Heat the oil and deep-fry the individual batter-coated cauliflower florets. Remove when golden brown and drain of excess oil on paper towels. Serve immediately.